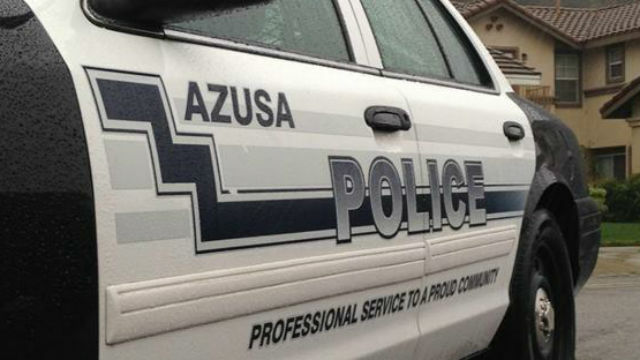 A man armed with a meat cleaver barricaded himself in an Azusa garage for three hours Thursday after allegedly trying to carjack a woman, but he was later zapped with a police stun gun and taken into custody. The suspect was identified as 21-year-old Fernando Jaimes of Pomona, according to Azusa police Capt. Chris Grant. 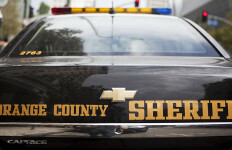 The attempted carjacking occurred about 7:20 a.m. in the area of Fifth Street and North Soldano Avenue, but prior to that police received a call from a resident who said there was someone in his home, Grant said. The attempted carjacking happened soon after and the suspect fled into a detached garage in the 400 block of North Alameda Avenue, Grant said. He was coaxed out three hours later by a crisis negotiation team as SWAT officers stood by, Grant said. Officers used a stun gun on Jaimes when he refused to obey commands while armed with a cleaver, Grant said. Jaimes was taken into custody, according to Grant, who said the suspect had unspecified outstanding arrest warrants. He was being held without bail at the Inmate Reception Center in downtown Los Angeles, according to sheriff’s inmate records. Jaimes did not live at the address where he holed up, the captain said. Some neighboring homes and a stretch of Alameda Avenue were evacuated during the standoff.